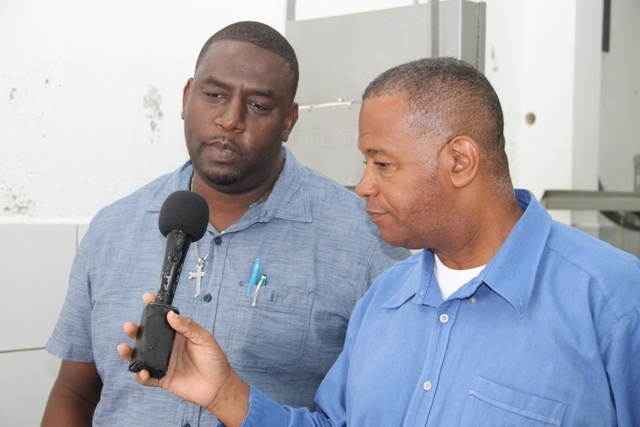 NIA CHARLESTOWN NEVIS (MAY 24, 2017) — The public is being asked to throw its support behind the Nevis Department of Agriculture’s 2nd Annual Pork Festival in the Square at the D.R.Walwyn Plaza on May 26, 2017. 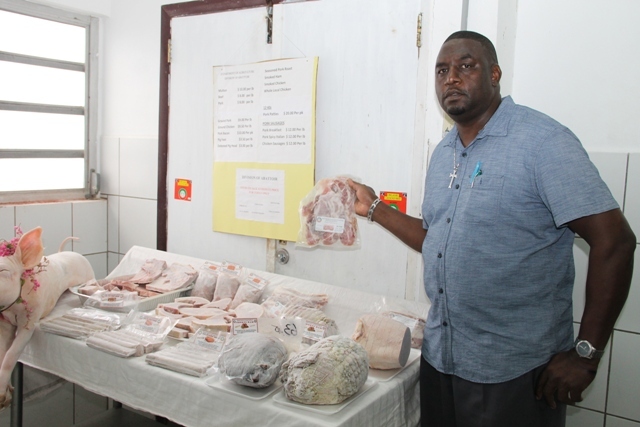 Manager of the Department’s Abattoir Division Gary Griffin told the Department of Information on May 23, 2017, that patrons can expect quality products and discounted prices on select items from 7:30 a.m. to 4 p.m.
Products he listed that will be available include pork chops, burgers, ribs, legs diced pork, seasoned pork roast, smoked hams, spicy Italian sausages, breakfast pork sausage, ground bacon and ground pork which will be packaged in one pound portions. The festival forms part of the Department’s Agriculture Awareness Month with the theme “Embracing climate smart agriculture to achieve food security”. This year, it will be held in collaboration with the Department of Community Development’s Community Development Day. Last year the seasoned pork roast was introduced and Griffin says the product has become a prime product at the Abattoir. “Last year…we had the seasoned pork roast. We introduced it to the public for the first time and persons were curious as to what it is, how it was prepared [and] how you go about cooking it. “All this information we were able to share with the public. Since then we have people coming back to get their seasoned pork roast,” he said. The Abattoir Division Manager used the opportunity to address the popularity of some pork products utilised in the tourism industry. He said The Hermitage is using most of the sausages they produce as part of its daily breakfast buffet. He said they also use the local hams at Christmas time. At present they are being introduced to the pork bacon. This year, patrons will be re-introduced to the pork bacon, a product which made its debut earlier this year at the Department of Agriculture’s Annual Open Day. They will also have hams available in smaller portion sizes as well as whole. However, although pork will be the highlight, Griffin noted that other products from the Abattoir will be available for sale. “We will also have mutton, beef in cut slices or in cubes. We will have pig foot, de-boned pig head, de-boned cattle head, cattle feet, chicken sausages and ground chicken,” he said. The Department of Agriculture will also have pumpkins, sweet peppers, squash and onions on sale. Products will also be on sale from the Department of Agriculture’s Agro-Processing Center.